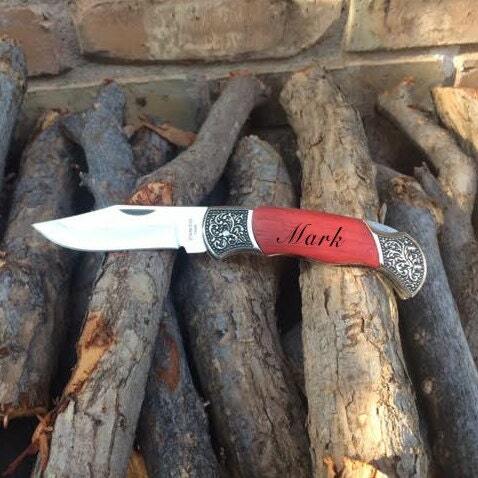 An outdoorsman isn’t great without an equally sufficient hunting knife. That’s why our rosewood decogrip locking hunting knife is the perfect gift for the camper, fisher or hunter on your wish list. Its sharp blade will be able to conquer anything the elements throw its way. Plus, its fine wood detail will help him further blend seamlessly into the scenery around him. 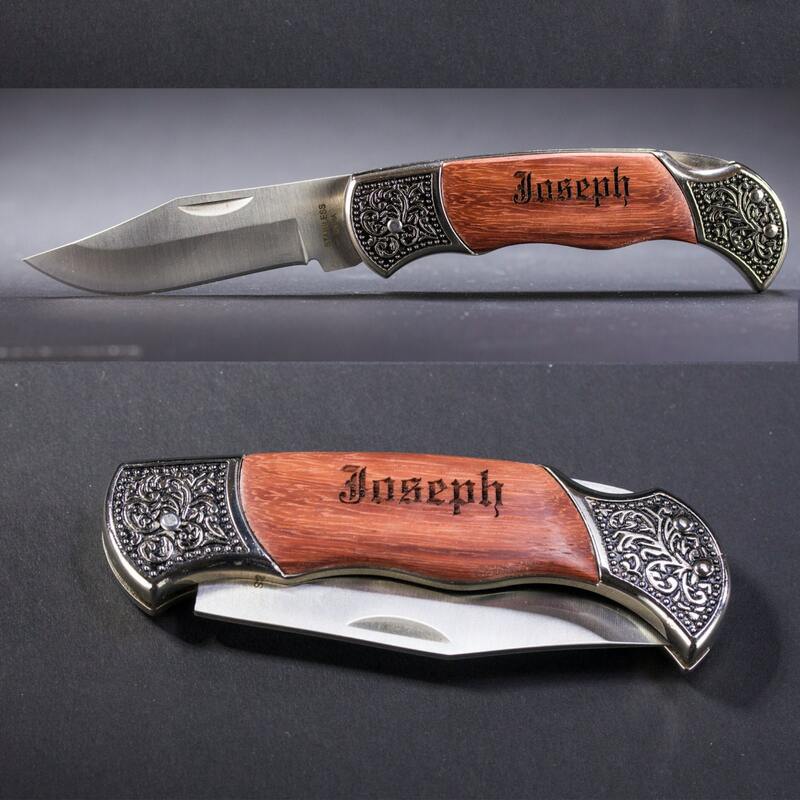 SIZE: Knife measures 4-1/2" x 1-1/2" x 1/2" closed and 7.25" fully extended. Arrives in a white gift box. 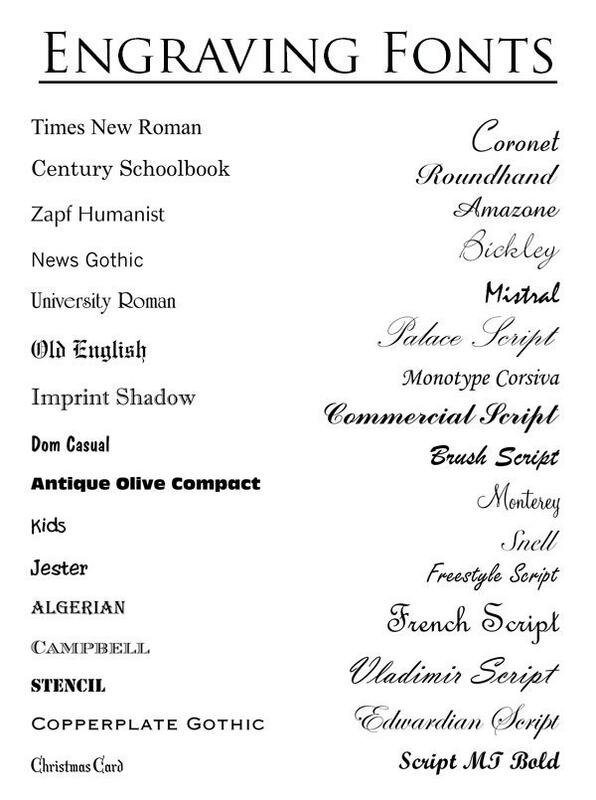 List the font you would like and type what you want written on the knife. 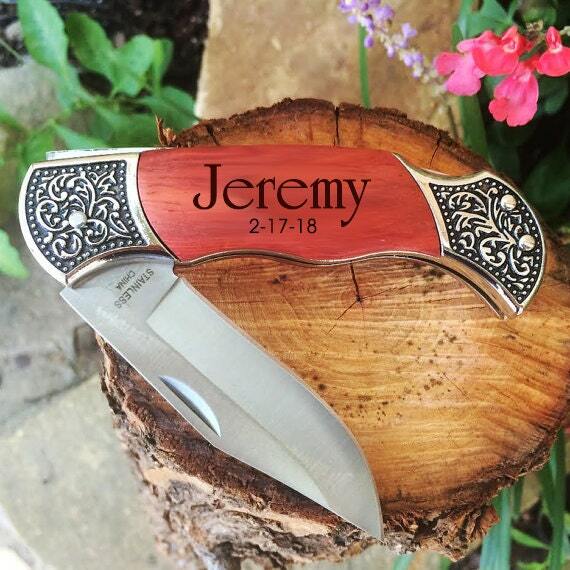 If requested, We will email/message you a proof of what your engraving will look like.